The Margaret Bourke-White Story with Eli Wallach as German photojournalist Alfred Eisenstaedt and Teresa Wright as Bourke-White, November 1959. 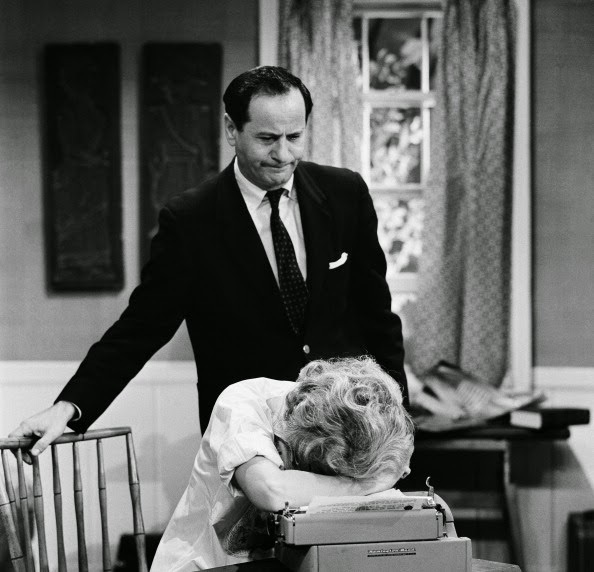 I was only watching the other night - again - the movie The Ghost Writer, and was once more reminded of what a great yet under-valued actor Eli Wallach was. Wallach died in New York yesterday, aged 98. Eli Herschel Wallach was born in Brooklyn on December 7, 1915. His film, television and stage career spanned more than six decades, beginning in the late 1940s. When I was 12, I suspect I was the only person in the movie house audience to admit to a sneaking admiration for the bandit leader Calvera in The Magnificent Seven. Wallach was later Guido in Arthur Miller's The Misfits and the despicable Tuco in The Good, the Bad and the Ugly (1966). Despicable, as Tuco? But so lively! And some great lines. "Meanwhile, Tuco, who is often called a rat for his vermin-like behavior and appearance, is a congenital liar, and though comical, he often does carry a certain air of bravery about him that one can't help but admire. Although he makes friends as necessary in order for him to gain more for himself, he is willing to take on Angel Eyes and his men single-handedly, if that's what it will take. Though Tuco and Blondie are often at odds with one another, one gets the sense that they are friends on a less-than-certain level - they just keep getting in the way of each other's continued existence. His speech with his brother reveals the reason for the life path he chose - priesthood and banditry were the only way out of their poverty, and he regards his brother's path as the easy way out. He is the Ugly - too pathetic to hate, his actions detestable, though he often is left little choice in his efforts to survive." So What Did Happen on June 23, 1868?